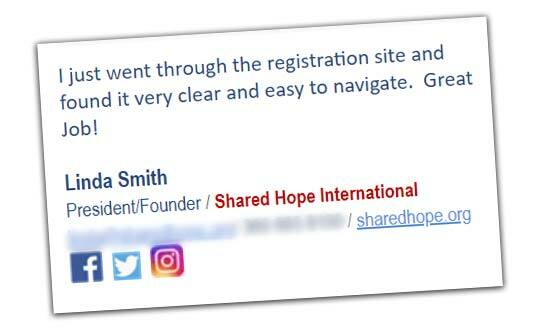 Providing freelance website services to Shared Hope International for a number of years, I had the opportunity to create a new conference registration website to launch their event registration. 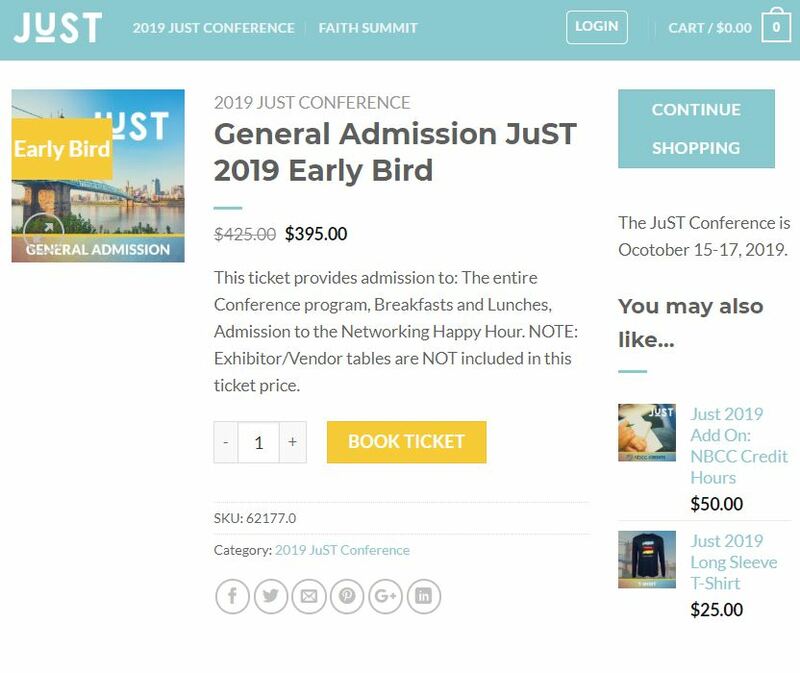 The JuST Conference is an annual event that supports those that fight against human trafficking in the field and in the courtroom, and provides a platform to discuss care for those that are victimized. This annual event typically sees 1500 visitors welcomed every autumn and is held in unique locations across the USA. Host a method for customers to request a proforma invoice (common for .gov agencies) and to pay by check. Offer multiple SKUs for exhibitors and the various services they require. 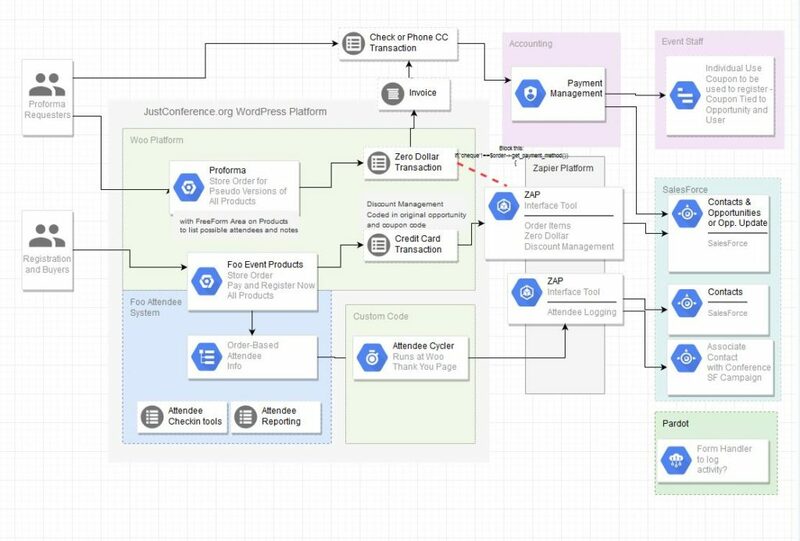 While there are a number of moving parts and connections, Shared Hope and the Remarkable Team LLC decided to move forward with the following tools and systems to build a complete Conference Registration Website. With the decision on the basic flow, all of the project stakeholders had to be heard and pain points had to be smoothed over. The act of website design went very well. Utilizing an eCommerce friendly WordPress template, matched with an already designed color and font theme, and the excellent provision of content from the client allowed the entire team to deliver a pleasing prototype quickly. The back-end development was also a success, thanks in part to the excellent support received from FooEvents. – We had to modify our system to utilize the specific data sets that the FooEvents system used to identify attendees. While they did not write code for us, they did point us in the right direction with specific exemplary code snippets to replicate. We launched the site on a Wednesday, and the first day their orders were in line and better than previous years launch dates. The client is well pleased, and I look forward to updating the system to manage multiple events in the coming months. 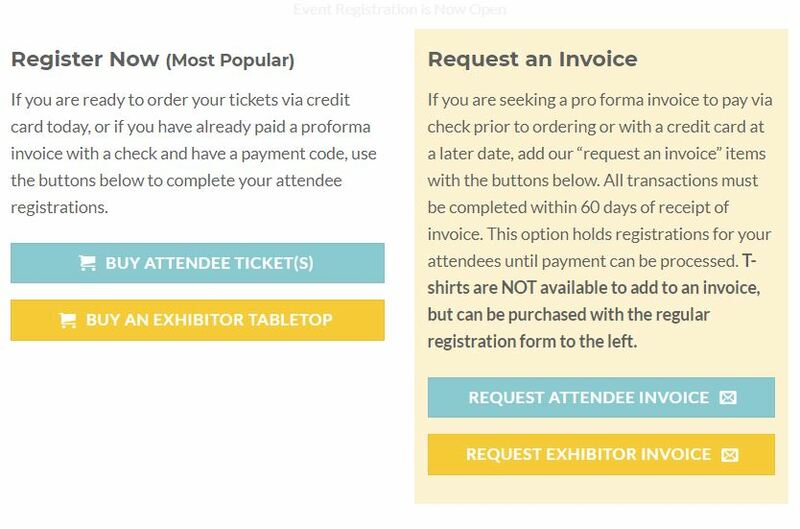 Conference registration can be highly customized with multiple components. I am happy to work through your needs with you. Email matt@remarkableteam.com today if you are interested in upgrading your conference registration technology too. for small businesses, entrepreneurs and bloggers. Remarkably, we are a a husband and wife team founded in 2008- working 4 feet apart every day. Website Design and Coding along with Content Development make us a winning team.